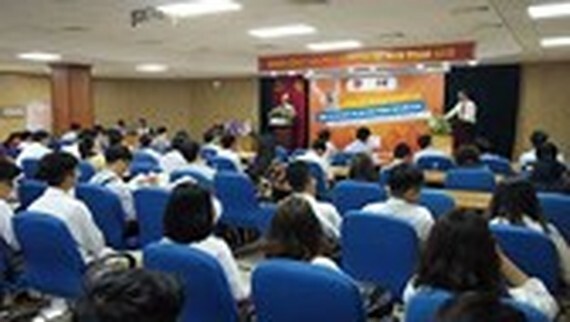 Top winners of the Microsoft Office Specialist Championship qualifying round organized by the Communist Youth Union and IIG Vietnam held in Hoa Sen (Lotus ) University yesterday will enter the national round and the world final round in the US from July 29 to 31. More than 1,000 contestants from 105 teams including 54 teams from senior high schools and 51 teams from colleges and universities participated in the competition. 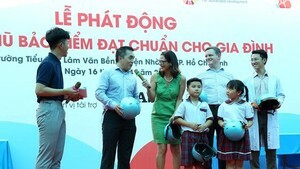 More importantly, the event has drawn participations of contestants from 40 cities and provinces countrywide including the northern provinces of Bac Kan, Lai Chau, Tuyen Quang, the southern province of Binh Phuoc and the central province of Ninh Thuan. Competitors did online tests on their skills of Microsoft Word, Microsoft Excel, Microsoft Powerpoint in 50 minutes. Candidates scoring 700 marks/ 1,000 points up will receive Microsoft-recognized certification for Microsoft Office globally. IIG Vietnam is a representative body of Certiport which is a global competition for students’ skills on Microsoft Office Word, Excel and PowerPoint.